Trying to repair a car that won’t start can be one of the most challenging troubleshooting if you do not know where to start. I work as a diagnostic technician, and I do the most advanced troubleshooting as a daily job. I have created a system to go after when you are troubleshooting a car that won’t start which I will share with you for free. This guide is in 10 steps, and I do recommend to follow them carefully to find the problem of your vehicle in the fastest way. First, we will start with some common reasons why your car won’t start, and then go to the troubleshooting steps. There are a lot of different reasons why a car won’t start. 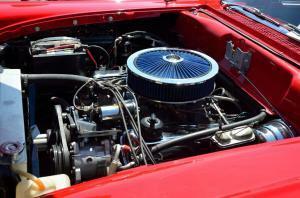 Here is a list of the most common reasons why a car won’t start. Do not just replace parts, check down further in the article to troubleshoot your vehicle correctly. 1. Is the engine cranking? The first thing you should check is to make sure if the engine is cranking or not. If you know that your car is cranking, you can go to the next step. You can typically hear it from the sound when you are turning the starter. If the car is not cranking when you are turning the ignition switch to the start position, you may have a low voltage or a starter problem. If your engine is not cranking, make sure that the car battery is charged and that it’s not failed. You can either try to jump start it from another car or with the help of a jump starter. You can also work with a different car battery if you have one at home. If the battery is good and the jump start didn’t help the engine to crank. There will most likely be a problem with your starter or the electrics to it. A tip is to tap the starter with a hammer at the same time as a friend, or someone else is trying to crank the engine. That may help the coals to jump to the right position in the starter and start it. If the starter is cranking when you are taping it, there is a problem with the starter, and it’s recommended to get it replaced as soon as possible. If the tap did not help, you have to measure the wires on the starter. A starter usually does have two wires connected to it: one large b+ wire and one small. Check the ground between the engine and body. You can put a jumper cable between the battery negative terminal and a good ground point on the engine to check if it’s a bad ground. Check if you get 12 volts on the small wire when you are turning the ignition switch to starter position. Keep away your hands from any moving parts while doing it! If you have 12 volts on both the wires and the ground is right, there might be an ampere problem in the large wire or a faulty starter. It’s rare that the massive power cable to the starter is getting damaged and to make sure to be 100% you have to make a loading test on the wire. If you have done a loading test and it shows OK, and you get 12 volts on the small cable when cranking, you have a faulty Starter, and it has to be replaced. If you are missing 12 volts on the small wire when you have the ignition switch in starter position. You have a problem with the starter signal, and you have to troubleshoot the ignition switch, starter relay, fuses and the wirings between the ignition switch to the starter. If the car is cranking, but it won’t start, the best way is to use an OBD2 scanner to find out if there are any stored trouble codes in the trouble code memory. By reading the trouble codes, you can skip over a lot of the troubleshooting steps and jump directly to troubleshooting the part that you got the trouble code for. The most cars over the year 1998 got an OBD2 system in the vehicle which makes it very easy to read the trouble codes. You can find the information about the trouble codes in OBD2 codes. If you have an older American vehicle, there is a chance that you have OBD1 codes and you do not need a scanner to read these kinds of trouble codes. If you have any other questions about the trouble codes that you were getting, contact us, and we will help you out of where to start your troubleshooting. The next step is to check the RPM signal from the crankshaft and the camshaft sensor. You can do this by checking on your tachometer if you are getting any RPM’s showing on the dashboard. A better way is to check the value of the crankshaft RPM from the engine control unit with an OBD2 scanner. In most cases, you will get a trouble code on the crankshaft or camshaft sensor if there is a problem there. to check if the signal looks good or not, but in most cases, you can only correct if you are getting any RPM’s in the engine control unit and make sure there are no trouble codes stored. Now if the crankshaft and camshaft sensors seem okay, it’s time to check if you have any fuel pressure. A bad fuel pump, clogged fuel filter or a bad fuel pressure regulator can result in a low fuel pressure which will lead in that your car might not start. Low fuel pressure is a widespread cause of why your car won’t start. or check it in the OBD2 scanner if your car is equipped with a fuel pressure sensor. If it’s equipped with a fuel pressure sensor, you will most likely also get a trouble code stored in the fuel pressure is low. But it’s always good to verify it with a manual fuel pressure gauge. If the fuel pressure is low check the wirings, relay and fuse to the fuel pressure pump and test if it’s pumping any fuel. If it’s not going, but you get voltage to it, replace the fuel pump. If the fuel pump is ok, replace the fuel filter and troubleshoot the fuel pressure regulator. Another common problem when the car won’t start is problems with the spark. It could either be caused by a bad spark plug, bad ignition coil or ignition cable. The wirings could also cause it to the ignition coil or no signal from the crankshaft sensor, that’s why you should always diagnose the crankshaft sensor first. You can check the spark by removing the cable/coil and the spark plug. Take a cable between the plug and a good ground point and let a friend crank the engine while you are checking if there is coming any spark. Another common cause is that the injectors are not opening and injecting fuel into the engine. A broken fuse/power wire most often causes this to the injectors or no signal from the crankshaft sensor. In rare cases, it can also be produced by a bad engine control unit. To check if the injectors are opening you can measure the voltage with a multimeter. The injectors usually do have two pins, one 12+ power and one ground signal to the engine control unit. Make sure you have 12 volts on one of the wires while cranking and you can check if you get any ground signal with a LED light. More advanced troubleshooting of the injectors should be done with an oscilloscope. When the fuel injectors are opening, they are often leaving a small click which you can hear if you listen carefully. Let a friend cranking the engine and check if the injectors are clicking. 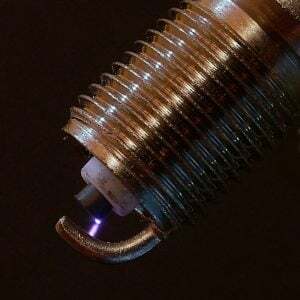 If they are clicking the injectors should be ok. You can also see at the spark plugs if the car is injecting any fuel as they often get wet if you get fuel but no spark. A lousy timing belt or a bad timing chain can result in serious engine damages which can make your car not to start. Almost all engines have TDC marks where the camshaft and the crankshaft should be aligned. You have to find these marks either in the repair manual for your car or find information online. Then you have to check if the timing is correct. A timing belt or a timing chain that has jumped over, will in almost all vehicles result in damages valves. If you suspect that your chain or belt have skipped over, you should always make a compression test to verify that the compression is good and the valves are not bent. The last step if you have fuel and ignition, but the car still won’t start, is to check the compression and check the leak down through the piston rings. First, you should make a compression test with a Compression tester to verify that you have the same pressure on all cylinders. Check the repair manual to see what pressure the engine should have. Worn engines can have slightly lower pressure, but the pressure should be even between the cylinders. An engine needs Fuel, Ignition, Camshaft timing and compression to start. If you follow these diagnostic procedures, you will most likely find the problem of why your car won’t start. By beginning to check the trouble codes, you can shorten the troubleshooting time a lot by getting a code of where to begin your troubleshooting. If you want to have a scanner at home to read the trouble codes from the engine control unit, you can check out our review guide OBD2 scanners. If you have any other car questions, you are welcome to ask them at our homepage. 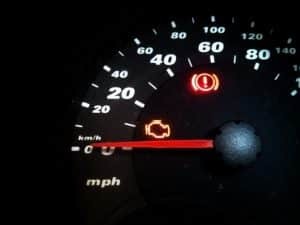 If you have problems to make your car start even after this article, comment down below and I will answer as soon as possible. You can also discuss and tell us about how you fixed your engine when it wouldn’t start.